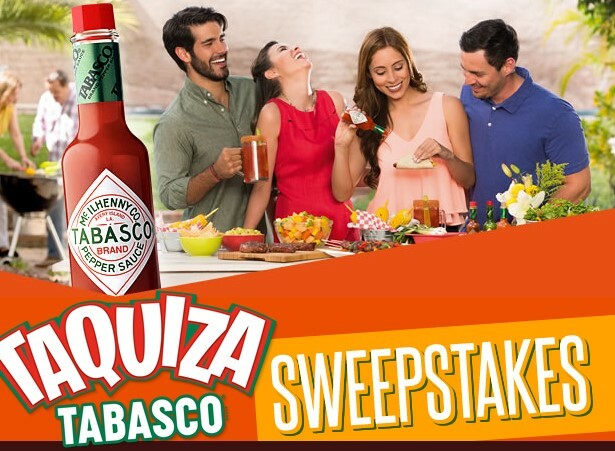 Tabasco wants you to spice up your family moments this summer by giving you the chance to enter weekly to win a prize package with a Taquiza Grilling Kit and a $100 Gift Card! Taquiza Grilling Kit includes; a Taquiza folding lawn chair, a Taquiza set of grilling utensils, a Taquiza apron and a Taquiza oven mit. Average Retail Value: $47.00. $100 gift card will be fulfilled as a generic gift card, except for winners within a 15 mile radius of an HEB Grocery – qualifying winners who reside within a 15 mile radius of an HEB Grocery will receive a $100 HEB Gift Card instead of a generic gift card. Retail Value: $100.00. HINT: If you prefer to text to win instead, simply send the keyword SABOR to shortcode 55755. Also, the rules state that you can enter BOTH online and via Text To Win for a total of TWO entries each week. See the rules for details. This Sweepstakes ends on 09/30/16 and you can ENTER WEEKLY to win.